Muse (n.): each of nine goddesses, the daughters of Zeus and Mnemosyne, who preside over the arts and sciences. Muse (v.): to comment thoughtfully or ruminate upon. Jukebox Muse (n.): an incredibly common creature with the tail of a bookworm, the body of a human, and the ears of a headphone freak. 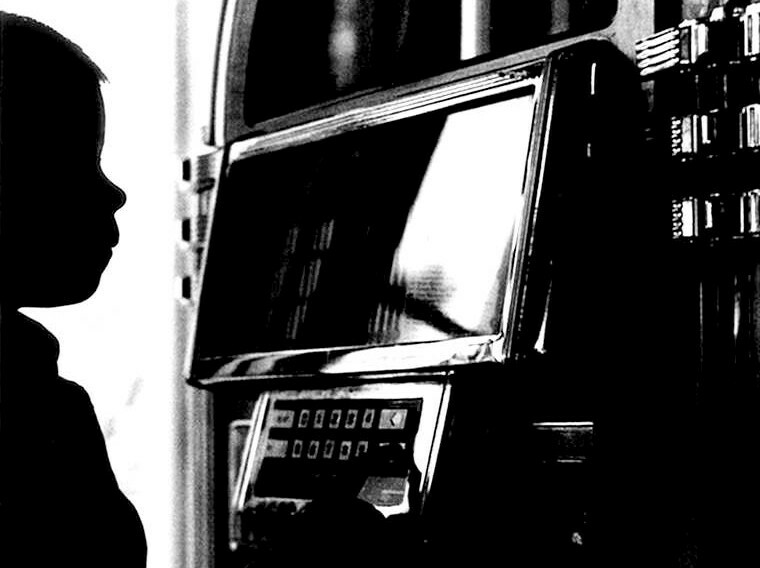 When the Jukebox Muse reads, she doesn’t just read. She also sings and dances and references TV show characters (not all at the same time). Consequently, her reviews are a jumble of pop culture and what she hopes is a cleverly-written, opinionated but informed voice. She strives to suggest a song to enjoy while reading her review, a song that is somehow connected to the novel. It’s simple: read her reviews, listen to great music, and muse. Where did the name Jukebox Muse come from? How did she become this patchwork creature of music and literature? Well, her first friend was a hulking black and white instrument. That’s a clue there. She learned to play with her ears and listen with her fingers, developing imaginary friends named Bach, Liszt, and Rachmaninoff. Ever since her twelve-year old self decided she had spent too many hours practicing to quit now and have a normal social life, she stayed with the piano and has come to love it and classical music dearly. Somewhere along the way, the Muse discovered that there was a whole world of music that didn’t involve her imaginary friends but was just as powerful. Through awkward middle school years, her tastes turned from equally awkward, trashy pop (Glee) to powerhouse vocals (Whitney Houston, Defying Gravity), and now she’s infatuated with hipster indie underground stuff and quietly being introduced to good rap by her friends. At eighteen, she likes to think she has good music taste (whatever that is) and encourages her readers to play the youtube link in every review while they read. However happily the little kid Muse traipsed around with headphones attached to her head, her ears needed a break sometimes. So the parental Muses took her to the library. There she befriended Tamora Pierce’s Tortall heroines (Alanna, Daine, Kel, Aly, and Beka), lived in their down-to-earth fantasy worlds, and chortled at their everyday humor. From then on, she hunted around the library, the bookstore, and her friends to find more worlds she could visit and love. She is forever grateful to the parental Muses who teased her about making sure to leave books for the other kids but always backed her up when she had to clarify with the librarian on just how many books she could check out and whether that limit could be increased. Jukebox + Muse = ? Slowly, music and stories became intertwined. She whistled The NBHD’s “Sweater Weather” while skimming inside-flap summaries. She found more worlds to bask in and more characters to adore in Gilmore Girls, Sherlock, and When Harry Met Sally. She developed a time-consuming habit of film/actor Wikipedia jumping. She found out that writing poetry comes naturally and writing stories does not. She marveled at dancers who visualized the beats and melodies of music. One day she looked in the mirror and realized that the jukebox inside her head played certain songs while she read certain books. She nodded her head contentedly, slipped her earphones back on and looked down to turn to the next page. And since that moment, she’s been happy to be the Jukebox Muse. Hey Jukebox Muse, you’re amazing!